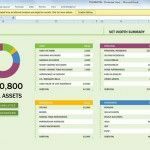 Use Excel to make elegant and neat flowcharts in a spreadsheet using this template. 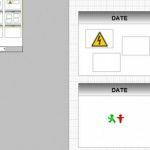 You can download this free flowchart template as a free sample that will help you to design flow charts in Excel 2013 or earlier versions. 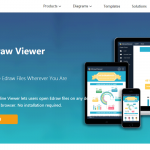 If you was ever wondering what kind of flowchart diagrams you can create with Excel or PowerPoint then this free sample will demonstrate that it is possible to create all kind of flow charts and process diagrams for your presentations. 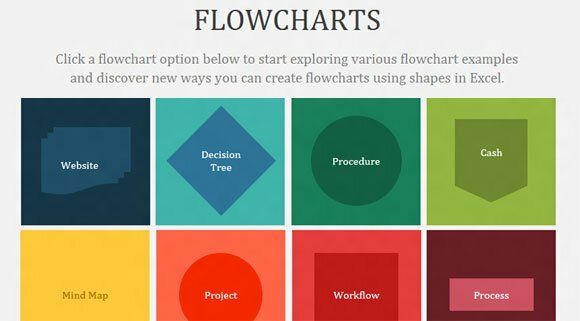 Download this flowchart template containing different spreadsheets with flowchart examples like process mapping template, process workflow, mind maps, cash diagrams, project workflow, procedure templates, decision tree flowchart, website navigation flowchart. 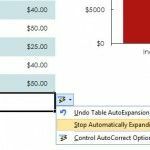 Here is a simple example that you can see inside the Excel 2013 template showing a flowchart How to Buy Shoes process. 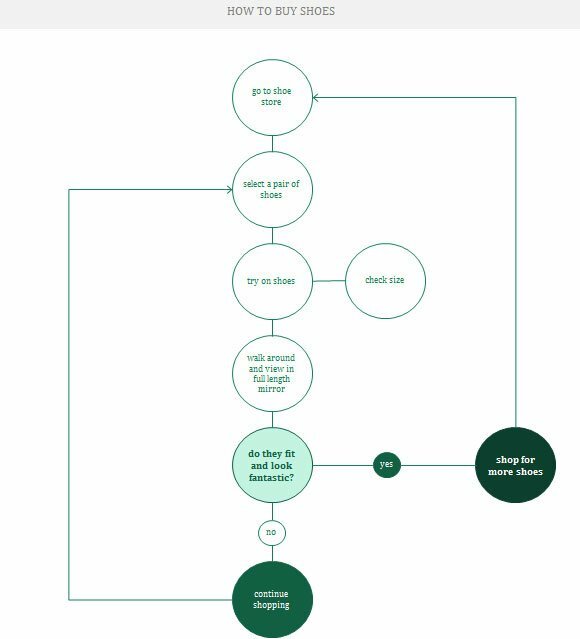 This can be easily a flowchart created for an ecommerce website like Zappos. 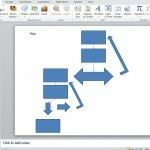 Find other good Flow Chart examples inside the template or you can download free flowchart templates for PowerPoint 2010 and 2013.